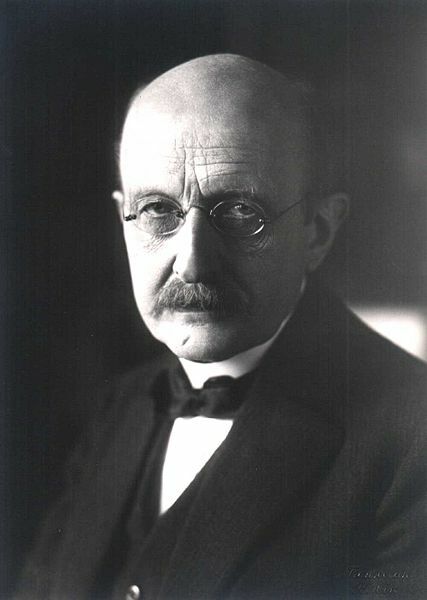 Max Planck was a German physicist and considered as the founder of the quantum theory, and thus one of the most important physicists of the twentieth century. He was a man of strong spirit and great will power Planck was awarded the Nobel Prize in Physics in 1918. Max Karl Ernst Ludwig Planck was born on April 23, 1858, in the Baltic seaport city of Kiel, Germany. Kiel was then ruled by Denmark. Max was the sixth child of a distinguished professor of law at kiel. Soon, Kiel was freed from Denmark with the German army’s help. His father then joined as professor of Law at the Munich University. Max came from a distinguished and educated family. His relatives had earned name and fame in the fields of law, public services as administrators, and as scientists and preachers among others. When Max was 9 years old, his father shifted the family from Kiel to Munich as he was appointed professor at the Munich University. Max began his school education at the Maximiliam Gymnasium in Munich. Here, he came in contact with a philosopher and a dedicated professor of physics who inspired and drew him towards physics and mathematics. He was also fond of music. His family would support and encourage him in his musical pursuits. He became a very good pianist and playing piano became a passion of his life time. He would relax playing it after a hard day’s work. He also loved the outdoors, taking long walks each day, hiking and climbing in the mountains during vacations, even when he grew old. He studied at Munich University from 1874 to 1876 and from 1879 to 1880 and at Berlin University from 1877 to 1878. He had the opportunity to study under the able guidance of professors Hermann Helmholtz and Gustav Kirchhoff. He presented his thesis on the expansion of hydrogen when it was passed through palladium. It earned him doctorate in 1880. This was his first and last experimental research and it lay at the core of the now known as planck’s constant h, in 1900. The value of h found by planck was 6.55 X 10 -27 erg-second, close to the modern value. After his doctorate, he did research in theoretical physics. It did not take long for Planck’s intelligence and brilliance to get noticed. He was appointed assistant professor at Munich University and soon, he moved to Kiel as professor of Theoretical physics. At the age of 31, he was appointed professor of physics at the Berlin University. He was contemporary of the famous physicists Sir J J Thomson and Heirich Hertz. Max’s intellectual capacities were however, brought to a focus as a result of his independent study, especially of Rudolf Clausius’ writings on thermodynamics. It is a systematic study of the relationship between heat, work, temperature and energy. In fact, thermodynamics and the science of light are closely related. Normally, a thermometer is used to measure temperature up to a certain degree and for temperatures above that, it is determined from the spectrum of the substance. An optical pyrometer is used to measure the temperature of a furnace. Heat and light are in fact types of energy. So, Planck extended his study beyond thermodynamics to study light. He faced some theoretical problems in his research on radiation. He researched on the amount of light needed to produce heat. He discovered that very little amount of heat brightens a substance. Every object has some amount of heat due to which it glows. But in reality it does not happen so! All his calculations were correct. Thus, he felt there were certain loopholes in the established laws regarding light. This revolutionary scientist took up the challenge to question and rejects the age-old prevailing principles. Planck formulated new principles. He put forward the hypothesis that light is a stream of energy and energy emitted in specific amounts or quanta. According to him, different levels contain different amounts of energy. According to planck, the energy associated with a quantum of radiation is proportional to the frequency of radiation, and the constant of proportionality (now called planck’s constant h) is a universal one. Planck’s new theory came to be known as ‘Quantum theory’. Max planck presented his new theory to the German Science Academy in December 1900. Many scientists present at the meeting did not accept the new theory. They had another reason. They found the age-old theory of light-Copscular Theory or particle theory being revoked here. They felt that the wave theory readily explained reflection, refraction, interference and polarization, etc. of light. So, how could the wave theory be dismissed? They were not mentally prepared to accept this. At the same time, Albert Einstein was working on his Theory of Relativity in Switzerland. He made it clear that Planck’s Quantum Theory could easily solve some problems of Photo electricity, which the wave theory failed to solve. In 1905, Albert Einstein used Planck’s idea of light quantum hypothesis to explain photoelectric effect which could not be explained using the wave theory of light. In 1913, Einstein arrived at Berlin and the two great scientists of the time came together and became great friends. They shared their common interest in music-playing piano. Einstein contributed significantly in establishing the quantum theory. Steadily, the scientists of the world accepted Planck’s quantum theory. In 1918, he was awarded the Nobel Prize for Physics for his quantum theory of light. Planck was a man of strong spirit and will power. If he had been less tolerant, less philosophical and had even lesser religious belief, he probably could not have succeeded in overcoming the tragedies that marred his life after his 50’s. In 1909, his first wife, Marie Merck, daughter of a Munich banker, died after 22 years of happy marriage, leaving Planck with two sons and twin daughters. He married again and had three children from the second marriage. He lost his elder son Karl in action in 1916 during World War I. The following year, Margarete, one of his daughters, died in childbirth, and in 1919 the same fate befell Emma, his second daughter. The terror unleashed by the Nazis compelled his two dear friends Albert Einstein and Erwin Schrodinger to leave Germany for good. He was to face further tragedy with the advent of World War II. The house in Berlin where he lived was totally destroyed be bombs in 1944. The Nazis could not compel Planck to sign the Declaration in favour of Nazism. He was constantly harassed to sign it, but he did not do so. They again approached him in 1944 with even more pressure. Planck was 86 years old then, while his only remaining son Erwin, was in prison accused of being a traitor. They agreed to release Erwin provided Planck signed the Declaration. But Planck categorically refused to sign and as a result, Erwin was shot dead. Later, he lost his property and his personal library in war blitz. This old scientist withstood all the tragedies without forsaking principles which were so dear to him. Germany suffered a massive defeat at the hands of the allied forces. A new and strong German nation emerged as the Nazi regime came to an end. Nazism lost its grip over the psyche of the people. New German administrators organized a grand function to celebrate the 90th birthday of this great scientist. Unfortunately, he passed away on October 4, 1947, a few months before the big day. 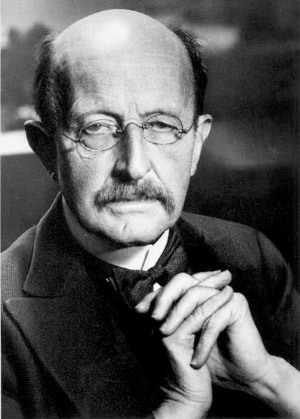 The Kaiser Wilhelm Academy of Science was renamed Max Planck Academy of Science in honour of this great man. Moreover, the German medal for foremost research called Max planck medal is awarded every year in his honour.